- High catalytic activity, huge adsorption quantity, low working temperature, efficient device. - Renewable type, can be used repeatedly for a long time. - Reuse without hydrogen and vacuum but with the few argon, safe and reliable. - The valve are all stainless bellows type, without leakage. Feature: No high cost thermal fuse, simplifying operation and reducing long term operation cost. 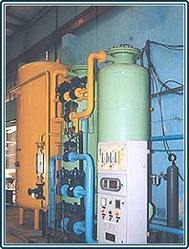 Gas Purifiers are designed to remove moisture, oil and other foreign materials from carrier gas streams. They are packed with Molecular Sieve/ Silica Gel. There is a frit at the outlet to stop any fines from entering the flow system. We also offer purifiers packed with Activated Charcoal to remove organics that could cause problems. ULTRALTM LAr is a manual cryogenic purifier that is used to purify liquid Argon straight off a tanker truck during container stripping or from another source for very high purity applications. It can purify the ordinary pure argon to be high-purity argon gas, widely used in electronics, metallurgy, machinery, chemical, atomic energy and other economic sectors, provide high-purity argon gas for spectral analysis and scientific research. 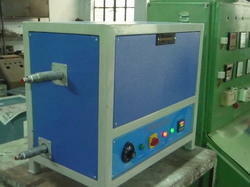 - World wide in many countries strict regulations have been made mandatory for air purity at work places. For conversation of normal argon gas to UHP grade argon gas. We provide Argon Gases in different grades in terms of purity and meet the application requirements of various industries. We also hold expertise in providing Special Gases in high pressure cylinders of different capacities, so as to avoid leakage.